We transport goods all across Estonia. We mostly use high-quality Volvo and Mercedes road tractors to transport goods within the country. We transport goods internationally to European countries, mainly to Poland, Germany, the United Kingdom, Norway, Sweden, Finland, Latvia, and Lithuania. We only provide trailer transportation with high-quality trailers. We currently use Faymonville, Andover, Tirsan and Kel-Berg trailers. OÜ Odien was created in 2005 and is based on Estonian private capital. 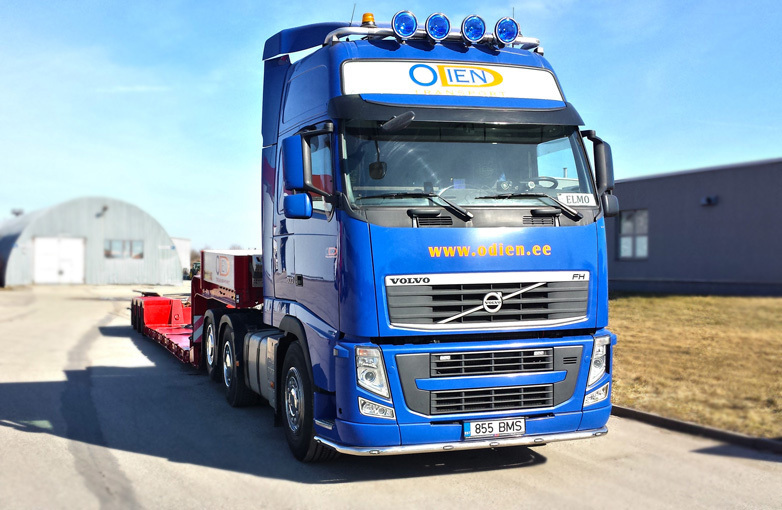 OÜ Odien is specialised in transporting goods and characterised by efficiency and high service quality. Recently, we successfully entered the trailer transportation world.